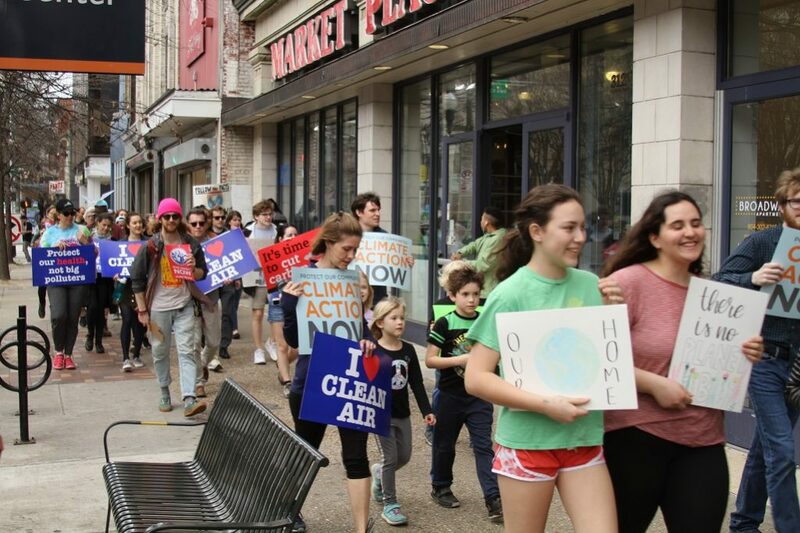 Last Friday afternoon, students from several Richmond schools marched down Broad St to Capitol Square, as part of the Youth Strike 4 Climate worldwide protest. An estimated 1.4 million students in 123 countries played hooky this past Friday, demanding public action for global warming, which included about 50 kids from local Richmond schools. At 12:30 p.m., students both from Richmond middle and high schools marched from Abner Clay Park down Broad Street to the Bell Tower in Capitol Square, joining a worldwide coordinated school walkout called Youth Strike 4 Climate. 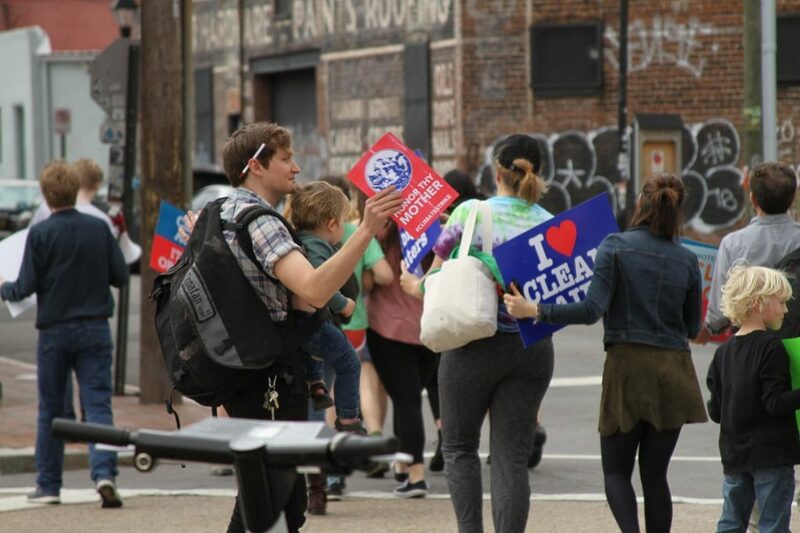 Students chanted phrases such as, “People not power,” and, “Don’t use oil, keep it in the soil.” Other adult members of the community marched to show their support as well, including local teachers and environmental advocates. Many grade school students in the movement believe older generations have failed to properly address climate change, nor have they taken any appropriate measures to advocate for clean energy and global environmental policy plans. Students like Brozna fear the projected lifespan of humans moving forward, and worry it may cause a massive loss of life. The movement was first inspired by 16-year-old Swedish activist Greta Thunberg’s weekly protests in her hometown of Stockholm. She has since gone on to deliver a TED Talk, an address to the United Nations, and spoke at the World Economic Forum at Davos. 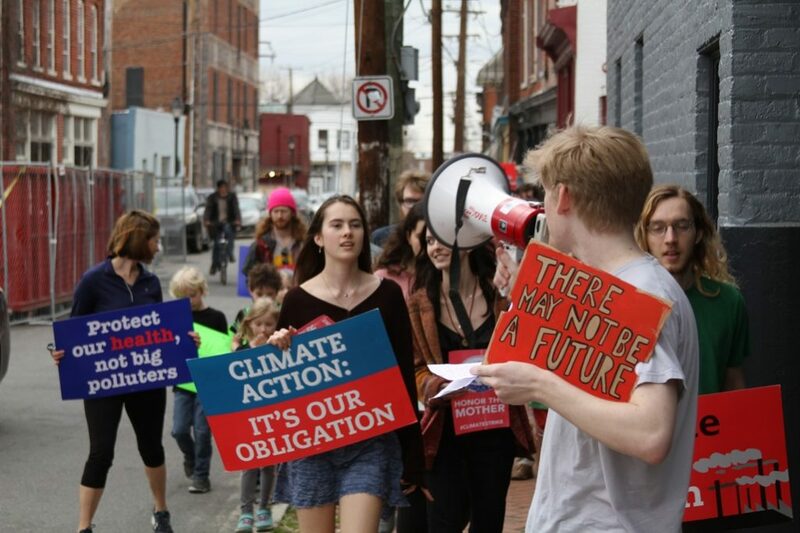 The United States named their own version of this movement the Youth Climate Strike; the movement is run entirely by middle and high school students ranging from ages 12 to 17. They cite demands including a “Green New Deal,” halting fossil fuel infrastructure projects, and better education in schools on global climate change. The next global walkout is scheduled for May 3. Thursday afternoon, Gov. Ralph Northam announced the Virginia Department of Environmental Quality issued a permit for the construction of a new solar facility in Henrico County. The 20-megawatt project, Briel Farm Solar LLC, will cover approximately 230 acres and is estimated to power over 5,000 homes. The new facility is a major step Northam is taking towards a green energy core in Virginia. The construction will be completed by Urban Grid Solar and will be one of the largest solar facilities in Virginia since the construction of the 9 MW solar facility constructed in Danville last year. “Urban Grid is excited to receive this critical regulatory permit and would like to thank all the agencies who collaborated on this permit, and we would specifically like to thank the individuals at these agencies that made this permit possible, therefore assisting Urban Grid in bringing utility scale solar to Henrico County,” President of Urban Grid Frank DePew stated in a press release. As of 2018, this solar project is one of seven permits issued for to be constructed, and is a key example of the expedited growth of clean energy in Virginia. Just since 2014, production has increased from 17 MW to more than 300 MW, according to the press release. The released stated that the project is part of Virginia’s ultimate goal of 3,400 MW in renewable energy. 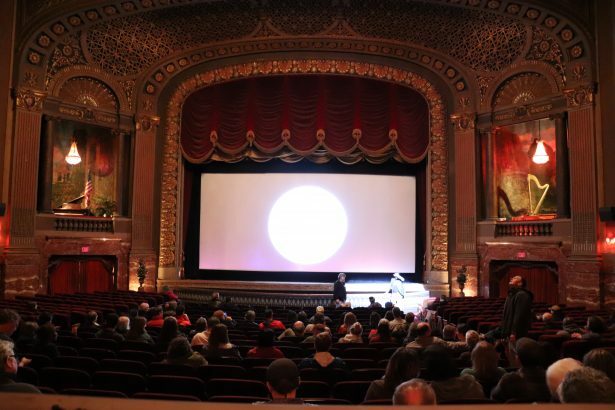 The 8th Annual Richmond Environmental Film Festival, which kicked off last night, has come around once again for its week-long showcase to raise awareness on environmental issues featuring local and national films at various venues across the city. Every year, the festival bolsters its lineup with an arsenal of films, providing breathtaking, in-depth examinations of the obstacles our environment faces, along with guest speakers, and environmentalist panels, all looking to accommodate a haven for discussion. Founded in 2008 by the James River Film Society and revived by the Sierra Club in 2011, the festival has continued its relentless awareness outreach to the Richmond community, with presenters including the Enrichment Foundation, Chesapeake Climate Action Network, Viridiant, and the Capital Region Land Conservancy. Over 20 films have been selected for this year’s screenings including films on the Flint water crisis, to “Awake: A Dream From Standing Rock,” that captures the Sioux tribe’s peaceful protests against the Dakota Access Pipeline, and “Jane,” a deep look inside the life of activist and conservationist Jane Goodall and her extensive work and interactions with chimpanzees. The film draws from never before seen footage from National Geographic archives a by Philip Glass. The film will be a double feature for the festival, first showing at the VCU Commons Theater at 3:30 pm on Tues., Feb. 6, and 4:45 pm on Sun., Feb. 11 at the Byrd Theater. Films will be screened all across Richmond venues including the University of Richmond Ukrop Auditorium, VCU Student Commons Theater, VCU Grace Street Theater, WCVE Studios, Chesterfield public libraries, The Visual Arts Center, The Byrd Theatre, and The Science Museum of Virginia. 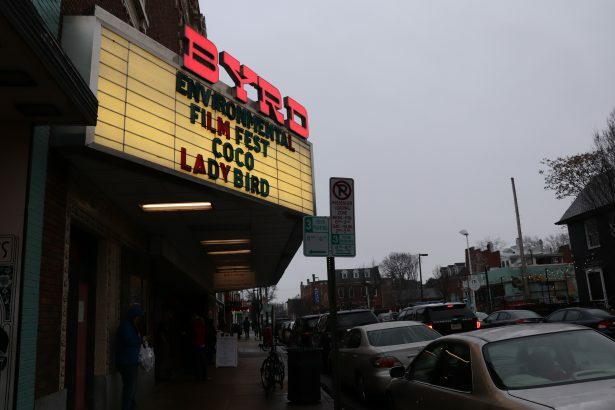 On Sunday, the RVA Environmental Film Festival Committee will announce the winners of the Virginia Environmental Film awards and screen their films at The Byrd Theatre at 3:05 PM. The film festival will run until Sun. Feb. 18, you can see the full rundown of films, times, speakers and places here. There is a complicated relationship that exists amongst the public, the media, and the government when it comes to environmental conservation. Each sector plays its unique role in deciding the trajectory of every blossoming, burgeoning environmental issue as it arises — pollution, global warming, species extinction — how each matter unfolds is entirely up to those three cardinal groups. Not many journalists understand this symbiosis the way renowned science journalist Stephen Nash does. Nash, who has been featured in The New York Times, The Washington Post, Boston Globe, and Bioscience magazine, is one of Virginia’s leading climate change experts. 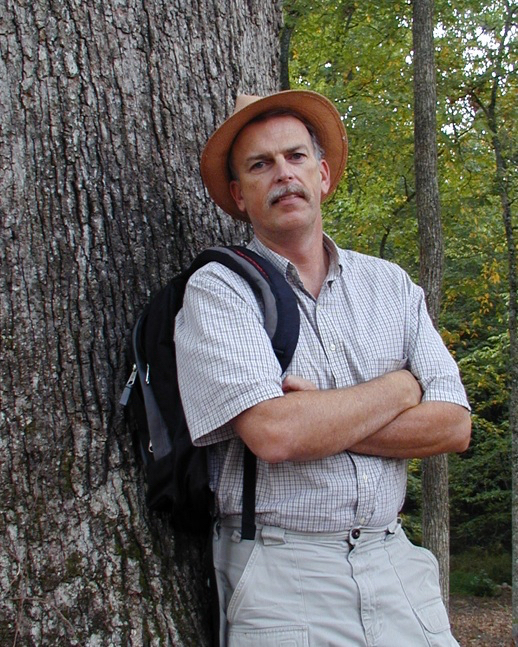 Author of Virginia Climate Fever: How Global Warming Will Transform Our Cities, Shorelines, and Forests, Nash’s award-winning book lays bare the future of Virginia, should the degradation of our environment continue. For Nash, it is the inherent responsibility of the media to inform the public of the state of our planet. Writing about the environment was inevitable for Nash. As a child, he discovered his love of nature exploring the woodlands of California and Oregon, where his stepfather was a logger. Today, Nash is the very picture of a conservationist — with his white mustache and his lanky frame. Bright blue eyes, set in weathered skin, divulge signs of a life spent in the sun and the wind. Nash, who firmly believes that it is the role of the media to inform the public, said that he is often frustrated by fellow journalists who deny the consequences of climate change, and thus, limit the role of the public in inducing any real change. When the media denies climate change, the public denies it. Businesses that rely on fossil fuels and drill oil deny it, out of financial interest and just plain fear. Media funded by corporate money deny climate change together, Nash said. But worst of all, according to Nash, is when the government denies the wrecking of our environment, because it is so very important that they play a role in fixing it. Ultimately, though, even the government cannot be relied upon, Nash said. It is the people and the fact-based media that must work together to invoke change. Recycling, using solar panels and wind power — those are minor actions that will as a whole have a larger impact, but Nash encourages taking action on a grander scale. Hurricane season is here, and this one’s already a doozy. 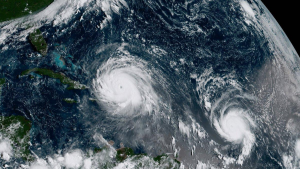 According to scientists at the National Oceanic and Atmospheric Administration, the 2017 season holds records for the highest number of major hurricanes in more than 10 years, and the highest number of consecutive hurricanes since the satellite era — such as Harvey, Irma, Jose, and Katia. Explanations for these trends range from climate change to unpredictable global patterns to simple randomness. James Keck, a professor of Emergency Management at VCU, has a lot of experience with hurricanes as the former Deputy State Coordinator at the Virginia Department of Emergency Management (VDEM). And with all that one-on-one time spent with natural disaster, Keck has come up with some theories of his own. Apocalypse or not, there are definitely ways to be prepared for severe weather like hurricanes. Reassuringly, citizens can also be certain that even in the event of fire and brimstone, the government has plans set in place, at least in Virginia. The department relies on satellite imagery, aircraft observations from the Air Force Reserve, and track/intensity forecast models that provide information about the direction and strength of each individual storm. In the event of a major hurricane, the department sets in motion the process of declaring a statewide, official state of emergency. The VDEM works with other local, state and federal governments to provide resources such as manpower, water, vehicles and generators for those in need. During times of devastation, the department also works closely with local law enforcement. So what should Virginians expect during a hurricane? According to Keck, the answer is everything and anything — his philosophy is proactive preparedness. The Department of Emergency Management advises there are several potential catastrophes that citizens should remain cautious of during a hurricane. 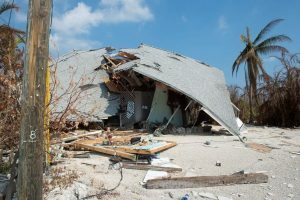 Most experts and officials recommend three steps for remaining safe during a hurricane — making a plan, assembling an emergency kit and staying informed. Making these disaster kits is especially crucial in light of the devastation Texas, Florida, and Puerto Rico have endured this hurricane season. In Puerto Rico alone, entire communities were swept away in the storm and 70 percent of the island still remains without power. Making a plan for what you should do if you get separated from your family, sustain an injury during a disaster, or have to evacuate the area is also important. Evacuation is a major safety routine during hurricanes – it is essential to know where you need to go.